Perfect laundry room remodel...when our washer broke and flooded the laundry, we had Todd and his subs create a new room, moving the plumbing for a stacked washer/dryer. The demo was done quickly with no mess, and cabinets/tile were perfect. Can't say enough about our foreman Dan and his team. He communicated each step, and subs were all on time and cleaned-up completely. 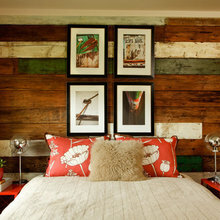 We're planning our next remodel project with Todd very soon. Highly recommended. 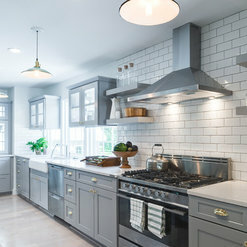 I have learned that finding the right contractor is as important to the good outcome of a home remodel as finding the right husband is for a long and happy marriage. Neither have to be perfect but they have stand by their word. After an extensive contractor search, we hired Cab-I-Net to remodel our tiny master bath after a good recommendation from a coworker. Our midcentury modern house master bath was in original condition (55 years old) and was in desperate need of an update and also to maximize the storage and counter top space at the vanity. I brought my ideas to Todd and his crew and they really brought it to life. Our master bath may be tiny but the shower area truly feels like a spa, the vanity area is much more functional and has a ton of storage. 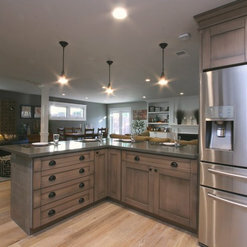 The quality of the cabinets and hardware is very nice. Overall, the experience was positive at each phase of the project, Dan, the project manager always kept us informed of the schedule and any issues, Brett, the main installer helped find elegant solutions to problem solve any glitches in bringing the design to life that arose, also did a very artful job of installing the tile. Todd, Dan and Brett were responsive when I had problems immediately after the project completion. We greatly appreciated when Brett came on the Saturday Xmas weekend to emergency fix the wall-mounted lighted medicine cabinet that had come undone due to faulty attachment system provided by the manufacturer. Brett assessed the problem, consulted with us on his solution, went to Home Depot to get pats and came back and got it back up in no time. Thanks you, Brett!!!! Todd understood the midcentury feel we wanted, with the modern updates which would make our bathroom much more functional. 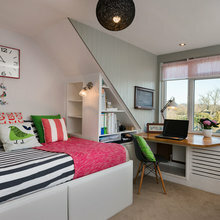 The project was completed in the estimated time. Excellent patch and paint job. 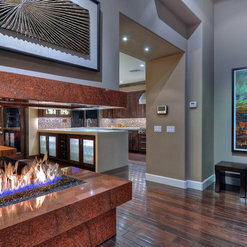 If you are considering a remodel, Cab-I-Net is hands down the best choice! We were referred to Todd by a family member who recently had an incredible transformation of her kitchen and three bathrooms! We also had estimates from other contractors, but we were unsure of their reliability and integrity. As a result, we felt 100% confident the Cab-I-Net team would also give us the same high quality craftsmanship and customer service to remodel two of our own bathrooms and laundry room! The entire process from the brainstorming of the layout, demolition, framework, electrical, plumbing, to the final details of decorative tile, Cab-I-Net always followed through on time with the utmost professionalism. When you trust contractors to be in your home, I am happy to say that the entire team treated us like family and got the job done the right way as they will do for you. Thank you Reg, Todd, Dan, Memo, and everyone on the team for your hard work! 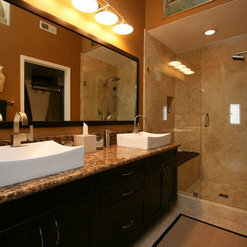 We look forward to our next remodeling project together! We purchased a 1970's mid century modern, one story home and hired Gina and Todd to totally open up the existing, very dated, tight spaces. 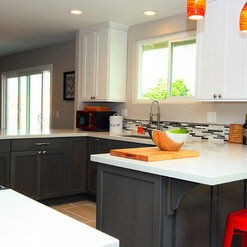 They removed walls, a funky step up in the master bath, raised a ceiling, and ultimately designed and remodeled our kitchen and two bathrooms as well as some tweaks to adjoining areas to make the new and old flow together. As the project went on, we added to our original scope of work and always felt that the new fees made sense and were not punitive because we deviated from the original contract. As an HGTV fan, I know nothing ever goes perfectly and we had our bumps along the way, too. However to their credit, Todd, Gina and Dan, the project manager, never made us feel our concerns were not serious and important and always calmly let us know how " surprises " would be remedied. 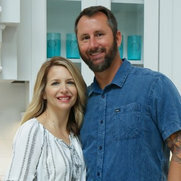 With respect to design, I appreciated Todd and Gina's input and often agreed whole heartedly with them but when I had a different vision they were respectful and supportive. We are down to our final punch list item and believe that hiring this team was a very good decision fiscally, qualitatively and emotionally. Our DeWil's cabinets are gorgeous and the installer, William further excentuated their beauty with his precision and craftsmanship. Thank you so much for taking the time to write your review. It was a pleasure working with you both and we really enjoyed your project. Your home is beautiful and we know you will be enjoying it for many years to come. We appreciate your kind words and your business, and look forward to completing some other projects in your home. I engaged Cab-I-Net to perform an extensive remodel to my kitchen. 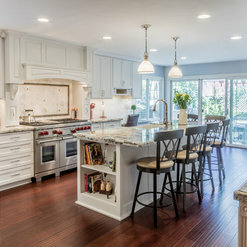 Their professionals designed a beautiful gourmet kitchen which repurposed wasted space into a storage and entertainment area that is very unique and useful. The work and finish is very high end and is work of aesthetic value. I would certainly recommend this company to my family and friends. My Husband and I were finally ready to upgrade our very outdated kitchen. 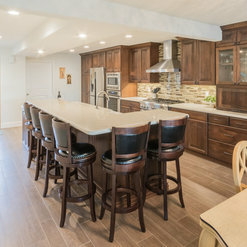 We have been through many remodels in the past and knew that living through the kitchen remodel with teenagers would be a challenge... We were actually pleasantly surprised how well it all went. After three estimates and meeting with Todd and Gina, I was sold and hired cab-i-net. I gave Todd and idea of what I was looking to do with the kitchen. 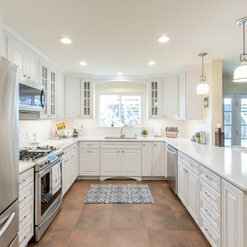 Todd and Gina came up with my "Dream" kitchen from the cabinet style, color, counter, sink, and tile backsplash... all perfect. Cab-i-net is a design, consulting and construction company which is an absolute plus. Todd and his crew are great people, hardworking people and very detailed oriented. Dan Cook, site manager, was the best. He always maintained continuous communication letting us know where we were in the timeline, when they would be on site and what time. It was great knowing that they were all very trust worthy and there was never a question in leaving the house or handing over the house keys. As with any remodel things will be messy but Dan and his guys always made sure the house was left as clean as possible. A couple of issues did come up, again, as they always do and should be expected. Dan and Todd were on it and made sure it was all resolved. The attention to detail is outstanding and they will make sure its perfect. Our kitchen is amazing and we are excited about starting our next projects with Todd and his crew... Wet bar area, bathroom(s), and room addition (crossing fingers). Cab-i-net should be your remodel choice. I highly recommend Todd and his family run business, they're the best. Thank you for your kind words. It was a pleasure to work with you and your family. 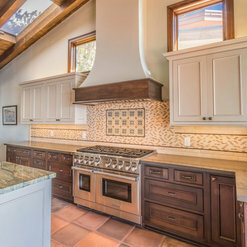 Your kitchen is absolutely stunning and we know you will be enjoying it for years and years to come. Thank you for awarding us your business. 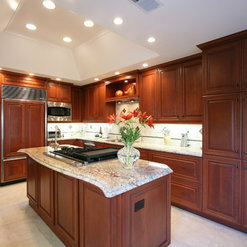 We have worked with Todd in the past on re-modeling our kitchen and did a very good job. As a result, we asked Todd to re-model two of our bathrooms. Unfortunately our experience in dealing with Todd and his team the second time was extremely disappointing. There was a lack of communication between Todd and employees or sub-contractors. Work had to be re-done a few times because of poor quality or not very observant of errors. Discussed problems with Todd but very good at blaming others and not taking responsibility. Blames us for taking original plans and agreement, but noticed these were done on a computer and guess does not save files. The last straw was billing final invoice one day and sending a notice of possible lien on property three times the next day (delivered by employee, certified mail, and regular mail. All other payments were paid on time and in discussing with Todd regarding notice claimed he did not know but his signature was on notice. In addition, I noticed address on invoices was an old address over a year old which again I question his organization skills. I've contemplated this one star review for several days now to try and figure out if these comments and this review is deserved and fair. I know that I am not perfect but I do my best to live my life with integrity and do not see this as an accurate reflection of me or the work and effort my team provided. I am proud of the work and finished result my team delivered. This review has the feel of a personal attack and attempt to hurt me and my family. I hope you will re consider. When I (Todd Adamson) came to your home in the evening to meet with you it was to discuss the bath tub glass enclosure. It was at that time that I explained to you that I could not give you what you wanted do to the type of tub you purchased. When you opened your personal project folder we noticed the print out I had given you of the type of tub you were to purchase along with the design perspective I had given you at time of sign up. What you purchased was not compatible with the swinging door system you were requesting. That is what I pointed out. We discussed the glass resolution and I gladly followed through at no additional expense to you. Regarding your contract comments: The day you signed up for the bathrooms I called you 15 minutes after you had left to tell you that you had left the office with my copy that had hand written notes on it. One of which was a hand drawing of a glass system for the tile skirt tub we had proposed. In the end it was of no consequence but was the reason I could not recollect the glass design you were talking about. This was not an attempt to pass blame but rather an explanation which I didn't realize you took so defensively. I do not blame others for my mistakes. we set the tub and did our framing without the drain system in place. extremely difficult and took an additional 3 hrs labor. their vessel sinks. This caused another delay and trip. affected the shower glass design that Todd had priced into contract. 1) labor to install drain system after tub has been set. roughed sink, repaired drywall and reset vanity with no delay of game or added cost to home owner. Our fabricator had already taken template and no delay was caused. 2) when installing hall linen cabinets we did not space the cabinets over as intended to hide the old cabinet footprint that was cut into there carpet. In order to correct this we added the planned filler piece, shifted cabinets over and installed a flush toe kick. Again no delay. I called fabricator and made sure that he left that counter long on the left side so that he could cut to length during installation. I accept your comments regarding organization and see where we made mistakes. I took care of those mistakes and would like to again point out they did not cost you any time or money. My accounting department has my proxy to sign my name on standard documents such as preliminary notices. They were following company protocol and California Law which requires us to submit notice specific ways due to time line. We were unable to connect with you following our final work which was performed on Thursday December 21rst. Bernadette expressed that she was out of town. Following the holiday Dan communicated back and forth with Bernadette to try and meet for final payment. A date of January 6th was set up for him to do so but that was canceled by you guys the morning of January 6th with the comment that we would touch base Monday. Monday came and went with no reply. Due to the expired time line from the time of our last work they were required to invoice with preliminary notices to preserve our rights to collect. It was not our intent to lien your property nor have we done so to date but due to the holiday etc my accounting department had to file standard documentation. I was not dishonest or attempting to pass any blame when you asked about this and hopefully that is clear now. Thank you for pointing out the issue regarding address on final invoice. I have passed this on and corrected the issue once and for all. I hold no ill will towards either of you. I appreciate your business over the last several years and wish nothing but blessings to you and your family. After getting three estimates, I had Todd from Cab-I-Net come to the house and by the time he left, I knew he would be the one to remodel my kitchen, interior doors and fireplace as long as he could give me an estimate within my budget. He did and soon he and Dan were at the house to start the projects. I cannot recommend them more highly. Dan and his workers were always professional, efficient, courteous and made every effort to keep things as clean as possible. My kitchen is beautiful and I am grateful that Todd came up with an idea to make my small kitchen a bit bigger by removing a small wall. I look forward to working with them again when I get my bathrooms re-done. Cab-I-Net differentiates themselves by not just being another contractor that can remodel your house. They specialize in design, project management, and have the talented individuals supporting them to implement. When we were searching for firms to do this type of work, it was hard to find another company like Cab-I-Net. As with any project, we ran into some obstacles which Todd and his team clearly explained and walked us through. The team was always looking for solutions to issues that we encountered. They were alway looking to ensure that our needs and wants were being met throughout the project. One area I would have done differently is that I would have clearly identified my "allowances" and what each line item on the bid costs. I would have asked for a breakdown of costs per item\service before the job started, that way I would understand better if we're trending over\under budget. Cab-I-Net was great about staying on their timeline, regardless of obstacles. We were very happy that they get everything done on time. Overall, Cab-I-Net delivered on their promises and exceeded my expectations. Our kitchen turned out just like they designed it! It's absolutely beautiful! We are very happy with it! Thank you Todd, Gina, and the rest of your team! We'll call you for the next project! Thank you for taking to time to write this review. We truly appreciate working with clients like you and your family. 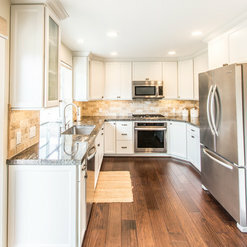 We are in love with your kitchen and look forward to working with you in the future. 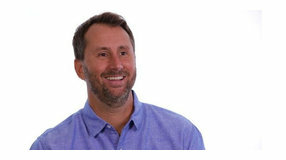 Todd and his team were very helpful and open to our collaborative creative ideas. As in many full house renovations, there were a few unplanned work and changes. 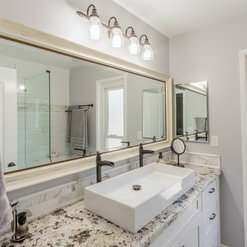 Todd's integrity was our main reason for hiring his company- he did our master bathroom in another house before and he was professional and honored his commitments to us. The same was true with this project. We love our new home and very grateful to Todd and his team for a job well done. We definitely recommend them. When I finally decided to update my 1960s kitchen, I was very apprehensive and visited many contractor showrooms. When I met with the staff at Cab I net in Huntington Beach, my anxiety level was greatly decreased. 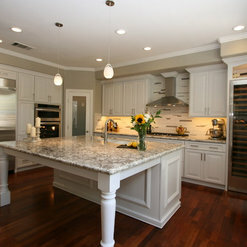 Todd, Gina and Nejat presented ideas and design elements that addressed the challenging layout of my existing kitchen. They were able to provide a design that required minimal relocation of water, drain and gas lines. They really listened to my needs. Once we started the project, every member of the crew was considerate, on time, and very professional. Any questions I had were answered in a direct and timely manner and I was always given options to consider. Very importantly, my house was always left as clean as possible at the end of each work day. Cab I Net stands behind all their work and when my countertops were not installed perfectly, they were replaced at no additional cost. My project was done on time and within my expected budget. I would recommend Cab I Net without reservation. Commented: Kitchen wall & backsplashLooks Great! Commented: what is this tile & who is it sold by?? ?The center piece tile is natural stone Calcutta Gold mosaic. 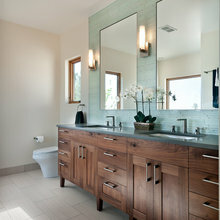 It was purchased from a local retailer, Stone and Ceramic Surfaces, in Huntington Beach CA. I don't know the distributor.